Film: Sometimes you’ll find a film that you’ll like that you just can’t nail down why. For me, Anthropophagus is one of those films. Directed and co-written (alongside George Eastman, who also stars as the Killer) by Joe D’Amato aka Aristide Massaccesi, a name that some people will associate with the less impressive films of European cinema. I don’t necessarily subscribe to that point of view. Yes, I agree, some of his films have been… well, crap, but occasionally there is a diamond in the rough. I put Buio Omega I that category along with this one. 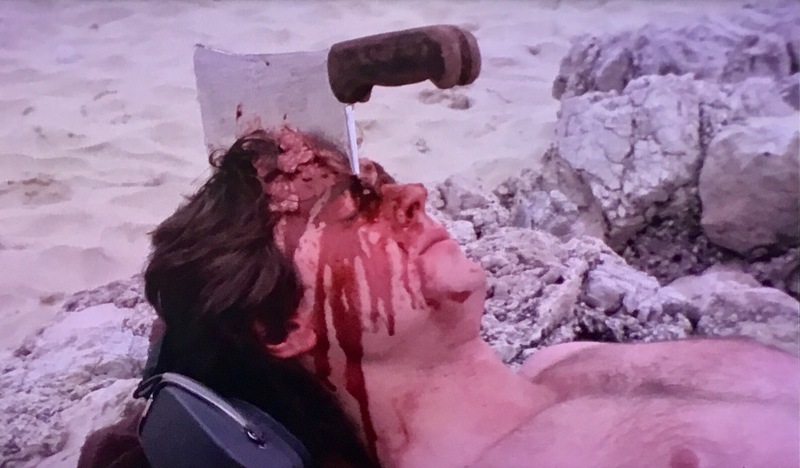 Something this film is probably best known for is being one of the films that was labelled a ‘Video Nasty’ in the U.K. in the early 80s, and had only, until released fully intact in 2015, ever been released with 8 odd minutes cut from its approximately 90 minute run time. 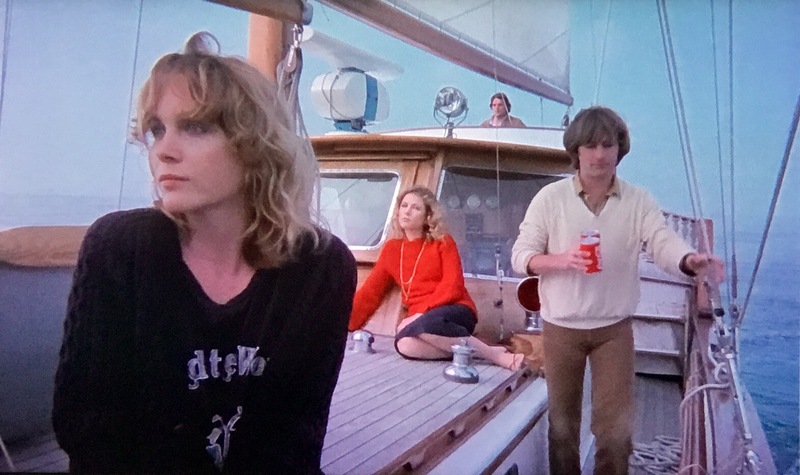 Julie (Tisa Farrow) manages to hitch a ride on a yacht to a small island community off the coast of Greece where she is supposed to meet up with a family whose daughter she is paid to be a ‘companion’ for whilst they travel. Upon arrive they find the entire town abandoned and as they investigate further they find several bodies and one survivor, Julie’s young charge who has been hiding from a man who she describes as smelling of blood. Who is this man and what does he have to do with the missing population of the island? I also have to say whenever I watch this, and I have done it this time, I immediately have to watch 1982’s Humongus: it’s basically the same film but with two special features, and both of them are attached to Joy Boushel, an actress whom a young me fell in love with and still have fond memories of… she’s probably more famously exposed in the cult comedy film Pinball Summer. Anyway, back to Anthropophagus. It’s notoriety is completely warranted. 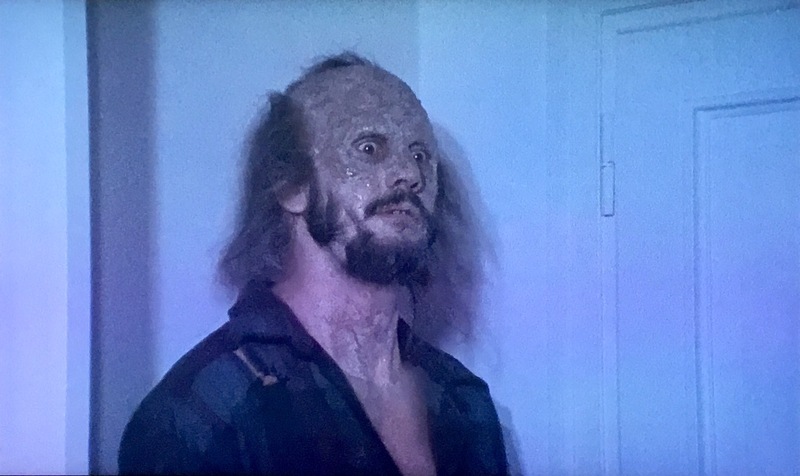 There are a couple of scenes in the film which are such WTF moments of epic magnitude than you’ll wonder if you really saw what you just saw. There is one scene it’s particularly known for where you’ll be absolutely gobsmacked, and every woman in the room will slam their legs shut and cringe. This film is criticised for being slow but I prefer to think of it as being deliberately paced. Synthy-soundtrack fans will get a kick from Marcelo Giombini’s score, a combination of frenetic synth riffs with church-like organ, which fills some of the scenes with a certain amount of anguish, which is what a good score is supposed to do! 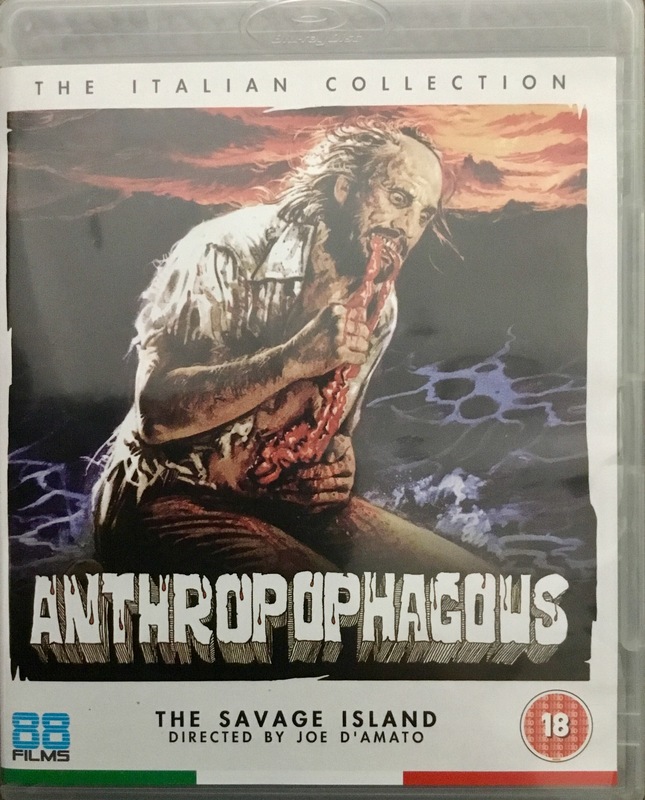 Format: The reviewed copy was the UK, region B, 88 Films release of the film, as part of their Italian Collection (its number 7) which runs for approximately 90 minutes. It is presented in a somewhat grainy 1.66:1 image with a good mono audio. Also this film can be watched in English, or in Italian with English subtitles. Extras: Some excellent extras on this disc, including the amazing documentary 42nd Street Memories: The Rise and Fall of the Most Notorious Block! which has many people, including Debbie Rochon, Lynn Lowrey, Frank Henenlotter and Lloyd Kaufman discuss the history of the notorious grindhouse strip of cinemas in New York in the 60s, 70s and 80s. For me, it’s my favourite of director, film documentarian Calum Waddell best work. It’s not just some crappy ten minute thing either, it’s a proper 90 minute doco. I admit it’s not directly linked to the film of the disc, but it’s a nice extra anyway. Italian Opening titles shows the beginning of the film but with the Italian titles instead of the English ones. 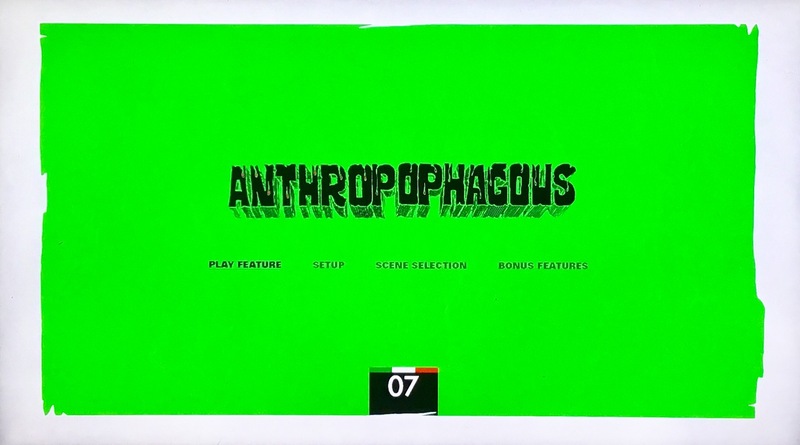 Anthropophagus trailers features a bunch of different trailers with various titles of the film. The Bluray slick itself also can be reversed to have either 88 Films’ cover, or a replica of the original cover. WISIA: For some reason I love this film, and I watch it regularly!